Robert Bathe and George Bartlett were born over 160 miles from each other – one from an urban environment, the other rural. However, their lives would intersect in many ways. They were born within the same decade, probably enlisted in the Army in the same time frame, and definitely in the same Corps. They were garrisoned together in England before coming to Western Australia on the same ship; they married the same woman; they both died in Fremantle. No War Office series 97 Chelsea Pension documents were issued for these men, thus their brief profiles were acquired from other sources. 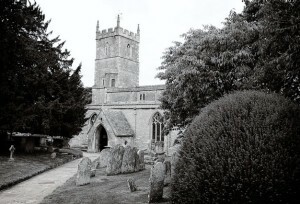 Robert Bathe was born in Wroughton, near Cricklade, in Wiltshire and was baptised in St John Baptist & St Helen’s Parish Church in Wroughton on 22 Jun 1823, son of William Bathe and his wife Patience. In 1841 Robert was living in Uffcutt (Uffcott) in the parish of Broad Hinton, working as an agricultural labourer. By this time his parents had both died, William in 1831 and Patience 1840. On 2 Feb 1851 Robert married Mary Ann Coleman Pearce at St Mary Magdalene Church in Gillingham, Kent. Mary Ann came from Portsea, Hampshire. In that year they were living at 2 Charles Place, Kensington which was close to the royal palace at Kensington where the single men of the Royal Sappers and Miners were barracked. At the time, Robert was serving in the 22nd Company of Royal Sappers and Miners, confirmed by the 1st quarter muster at Chatham and Hyde Park. At the end of October 1851, Robert and Mary Ann boarded the convict ship Marion along with 30 other men from the 20th Company of RSMs. The ship left Portland on 2nd November 1851. Among the 30 men to arrive in Fremantle on 30th January 1852 were Sergeants Jacob Cavill and Henry George, three Corporals, 24 Sappers and a Bugler. Regrettably Robert’s time in Western Australia was very short. He died of consumption and was buried in either Alma Street or Skinner Street, Fremantle on 3rd October 1852. He and Mary Ann had no children. Bishop’s Transcript, Wroughton Parish Register and Peter Bathe [email 18 Sep 2017]. Parish of Gillingham Marriage Register 1850-1856, Medway Council, City Ark Image#409. Kevin Mullins, Documentary Photographer Website. 1851 Census of England & Wales [HO107-1468], the National Archives, Kew. 1851 1st Quarter Muster [WO 11/126], the National Archives, Kew. Muster Rolls & Pay Lists WO11-130, October 1851 to January 1852, Australian Joint Copying Project, State Libary of WA. George Bartlett was born in Camberwell, Surrey in 1827. He enlisted in the Royal Sappers and Miners at Woolwich on 20th July 1848. As a single man, he was quartered in the royal palace at Kensington in 1851 along with some of the other men who were soon to come to Western Australia. His quarters in the palace are explained by his participation in an exciting event that occurred in 1851 (click here). In the 1st quarter muster he was recorded at Woolwich with the 20th Company and then on detachment at Kensington. He arrived in Fremantle on the Marion on 30th January 1852. Bartlett and Bathe must have known each other as comrades in arms in the 20th Company and on board ship. It is therefore likely that Bartlett knew Mary Ann Bathe. Robert Bathe died in 1852; George and Mary Ann were married on 22nd July 1854 in Fremantle. George is recorded on the Statistical Return of the 20th Company in February 1855 as married with no children; that was soon remedied when George and Emily Bartlett were born in Fremantle in 1855 and 1858 respectively. George, Mary Ann and the children returned to England on the Lord Raglan in January 1860 when a number of RSMs returned. It was a busy year: Mary Ann delivered twins Charles and Thomas on 29th June, George received his Army discharge (after serving for almost 12 years) and in October 1860 took up a position as Assistant Warder at Chatham Prison. On a sad note, the two children born in Fremantle, George and Emily, died and were buried within a day of each other in Gillingham, Kent in early 1861. George Bartlett then decided that a return to Western Australia would be desirable and twice applied for a position with the Convict Establishment (May 1861 and July 1862). The second application was successful and he was appointed Assistant Warder, his salary 54 pounds a year as of 1st November 1862. George, Mary Ann and the twins travelled to Gravesend where they embarked on the Palestine for the voyage to Fremantle, arriving on 14th January 1863. Their ship-board companion was Thomas Booler and family, another RSM who returned to England to take his discharge and then back to WA. The Bartletts had another child (James) on 31st July 1863. George returned to life as a warder in charge of various convict working parties around the Perth environs. At Fremantle Prison in August 1866 he was seriously assaulted by a prisoner. On 27th July 1867 George died of heart disease; the surgeon’s opinion being that it had been caused by internal injuries sustained in the attack by the prisoner. His widow, with little more than George’s outstanding wages and a sum of 15 pounds from a compassionate fund, ultimately moved to Melbourne with her sons in December 1871 after failing to qualify for a land grant. Mary died in 1909 in Bendigo, Victoria. 1851 Census of England & Wales [HO107-1480], the National Archives, Kew. Australia Marriages, 1810-1980, FamilySearch FHL microfilm 284852. WA Birth Marriage & Death Indexes. GRO Birth Index of England & Wales. Inquirer & Commercial News 21 Jan 1863. Warders & Gaolers: a Dictionary of WA Prison Officers, compiled by David J Barker, p.12. Additional information (2018) by Christine Garvin, 2 x great granddaughter of George & Mary Ann Bartlett.